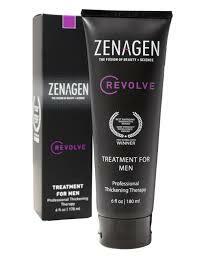 Zenagen Revolve is an easy-to-use hair loss treatment with unique products for both men and women. The Revolve system offers an efficient hair loss solution for male and female pattern baldness, post pregnancy hair loss, chemotherapy hair loss, and other common types of hair shedding and thinning.The Revolve system treats male and female pattern baldness with a multi-action process that combats DHT, the hormone that causes 95 percent of pattern baldness. 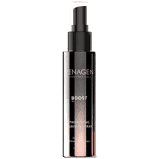 Formulated with antioxidant green tea and other naturally derived nutraceutical ingredients, the two-step system works conveniently in the shower and takes only 5 minutes, 3 – 4 times per week. 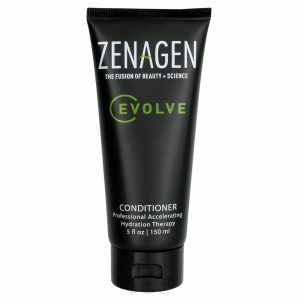 Zenagen Evolve is a two-step hair repair and growth acceleration system that encourages the growth of stronger, longer and healthier hair. 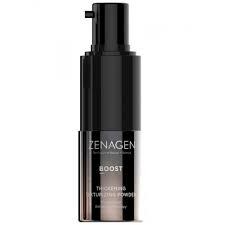 It helps repair hair that’s been damaged due to chemical treatments and heat styling and helps prevent breakage in dry, brittle hair. The Evolve system is a simple and convenient solution for damaged hair repair. Like the original Revolve system, it features a natural shampoo treatment and conditioner that are used in the shower, 3 – 4 times per week. 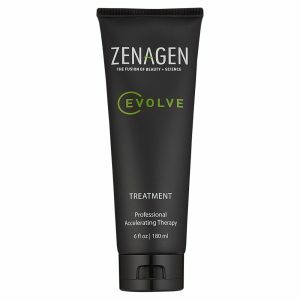 Evolve works by creating an optimal scalp environment for maximum hair growth and length, and encourages hair to grow stronger, longer and faster.